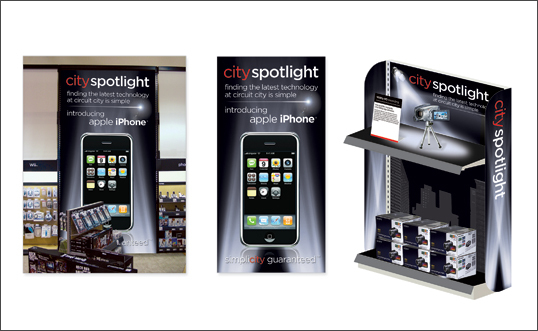 What We Did: Conceptual renderings of a newspaper circular cover and a variety of conceptual renderings for in-store sign treatments. 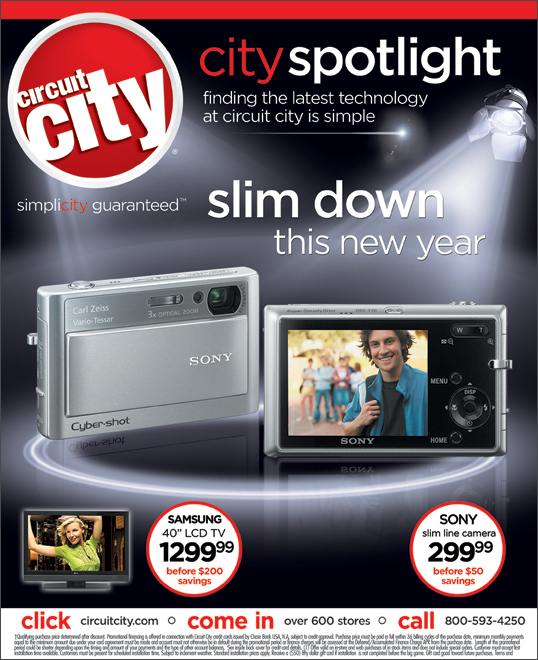 Project Details: The challenge was to come up with a visual campaign that Circuit City could use to highlight the latest and greatest products that they carried. 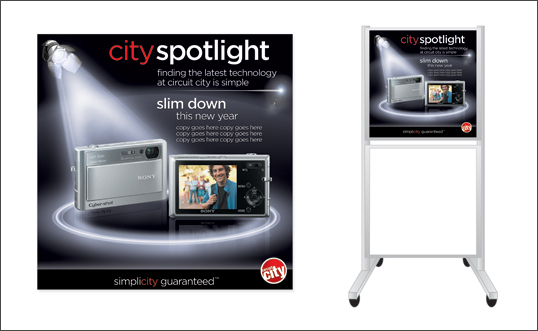 We developed the “City Spotlight” concept and created multiple renderings showing how the signage and advertising would look and feel when used across different channels – in-store in 2D and 3D applications as well as in traditional printed advertising.